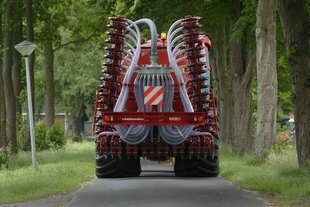 The Schuitemaker Exacta 100 series grassland injectors come in four working widths. 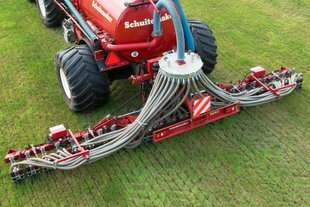 The grassland injectors are known for their unique HYDROCARE soil pressure control system, in which all elements across the entire working width individually follow the soil profile, irrespective of the surface structure. 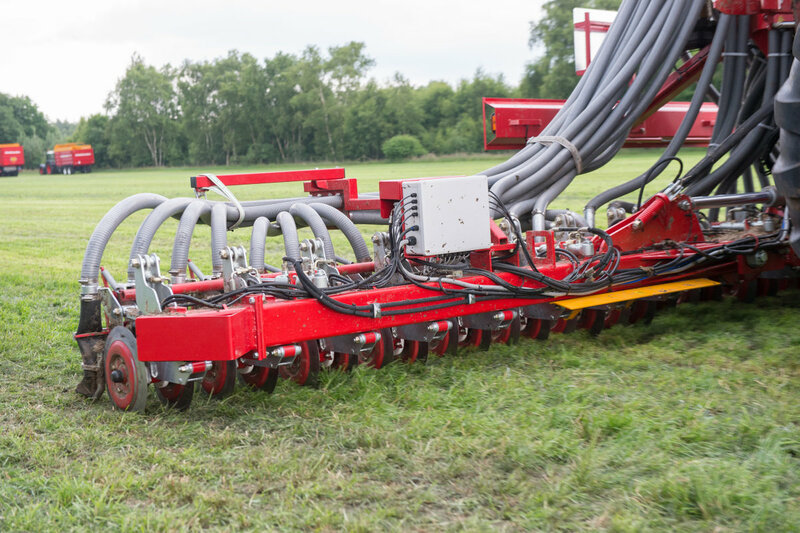 The Exacta 800 is the smallest injector of the 100 series; it has a working width of 7.92 m. The Exacta has a 44-hole distributor. 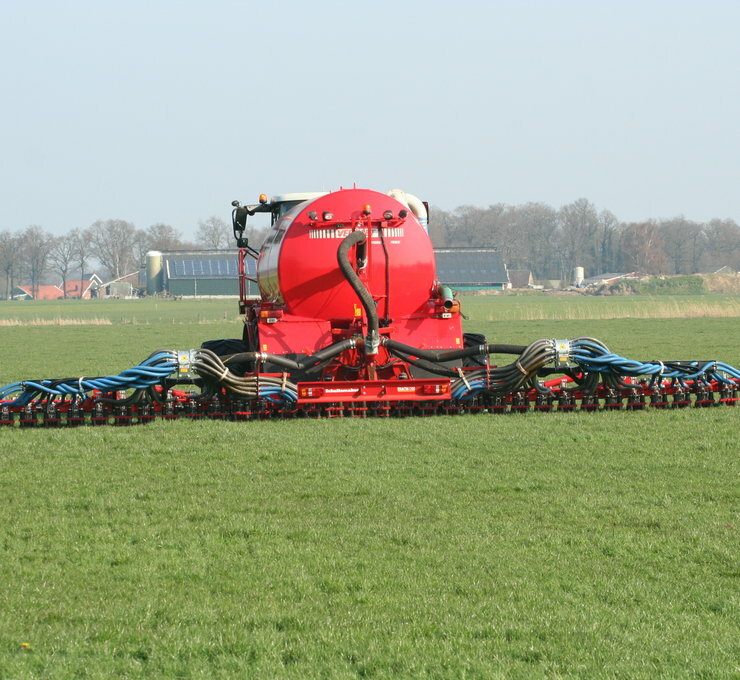 The Exacta 870 (8.64 m working width) and the Exacta 940 (9.36 m working width) are the best-selling Exacta series. These series have a 48 and 52-hole distributor respectively. 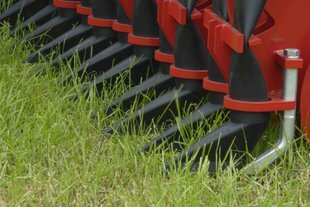 The Exacta 800, 870 and 940 series are standard fitted with a 3-point linkage. A quick-switch connection is also available (optional). With a working width of 12.24 m and 2 x 34-hole distributors, the Exacta 1230 is currently the largest Exacta on the market. 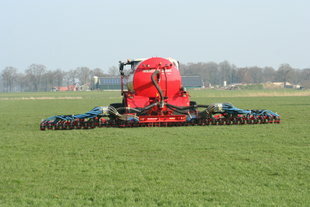 The arms are double-folded to reduce the transport height down to 3.9 m. In addition, the Exacta 1230 comes standard with a quick-switch connection. All Exacta series are fitted with an automatic lubrication system (12 volts) and a bumper with lighting (12 volts). More information about the Exacta? Click here to learn more about the Exacta.